What Porsche Will Magnus Walker Unveil At SEMA? The SEMA show in Vegas seems to get bigger and bigger each year. While not even remotely Porsche specific, there seems to be a growing number of Porsche related exhibits each year. This year, Magnus Walker has teamed up with Mobil 1 and will be unveiling his newest build at their booth! While his best known car, the #277, will be in the booth, Magnus has been teasing his friends and fans on Facebook and Instagram with shots of a disguised Porsche resting on a rolling stand. Based on the teaser pics I think it's safe to say we're probably looking at an early 'long-hood' Porsche. However, just what Magnus' newest project is and how it will look are closely guarded secrets. If you're fortunate enough to be going to SEMA, not only can you see #277 along with his latest build, you'll also have a chance to meet Magnus. 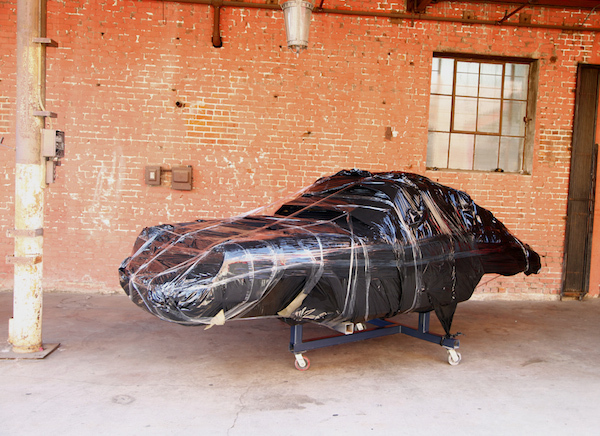 His new Porsche will be unveiled at 9:00 am on Monday, November 3rd when the show opens. The man himself will be there on Tuesday, November 4th from 2:00 pm to 3:00 pm. Magnus will be in the Mobil 1 booth signing "hero" cards and giving away a limited edition T-shirt (picture of t-shirt is at the very bottom of this post) that will only be available at the show. What 4 Porsches Are Next For Magnus Walker’s Collection?